As I'm writing this, I've just come home from college to lovely little parcel! Recently the lovely Jessica reached 100 followers and to celebrate she gave away this Chanel Nail Colour in Pirate, I was very lucky and won! So as always, i'd thought i'd share it with you guys. Most people that know me know that I love 2 things: Chanel and red nails. All I ever have on my nails is red and Chanel is just such a beautiful and iconic label, so naturally, me and this product got on like storm. As expected I absolutely adore the colour, it's a gorgeous deep dark red, and i can actually understand why they called it pirate. I usually wear a lighter red, but i have definitively fallen in love with this. The shade does tend to change a little bit though, depending on what kind of light you're in (i used natural light to take the photo's) and how many coats you've put on, i put on two, with no base coat or topcoat, just to test out the wear. I have to say... i'm so satisfied with this! It's lasted around 5 days with only some minor chips at the tips of my nails that are barely noticeable, and i'm sure if you wore a top coat with this, it'd be fine. I do really recommend this, lovely colour and incredible wear- better than any nail varnish i've ever tried before, what more could you want from a Nail Colour? I've also got compliments from people commenting on how shiny and glossy this looks, which is lovely. The only thing that's a little bit off putting is the hefty price tag it comes with, it retails at £17.50 from Boots, but if you can afford to splash the cash, then go for it, it's worth it. If you are interested, but this stretches the budget a little bit, I've heard Revlon do really great dupes of Chanel nail colour, and i've also seen a similar colour to this that Rimmel have done recently done. I hope you guys enjoyed reading this, what's your favourite Nail Colour/Polish? Come on baby be with me, so happily. Hey lovelies, I thought I'd let you all know about a certain album that I'm really enjoying at the moment! It might not be for everyone, but those people who usually say "I like all kinds of music" like myself, will definitely enjoy this! 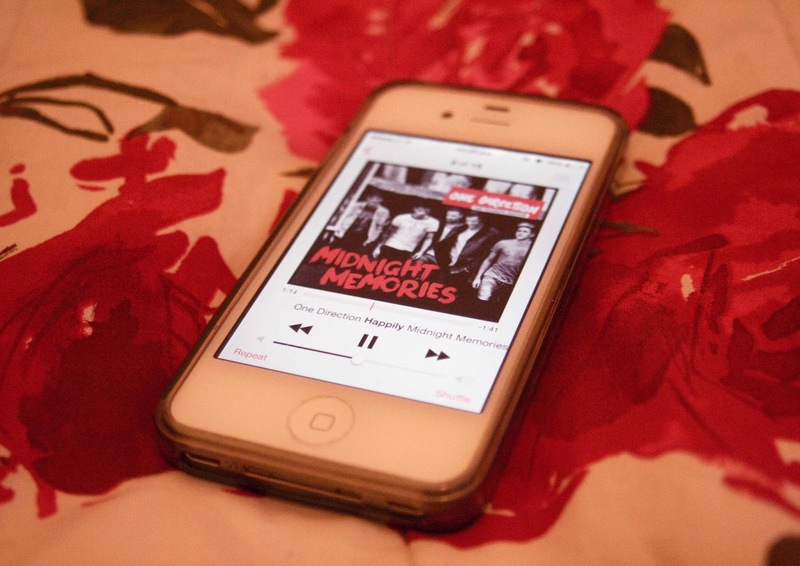 It's called Midnight Memories by One Direction, which i'm sure most of you guys must will be familiar with, and I have to say- I've joined the hype and I'm absolutely loving them! They seem like such lovely guys and I've always really liked them in general, but their music is honestly really good- it's definitely a very rock-y kind of sound in it's roots, but it's still very fun and very pop like. 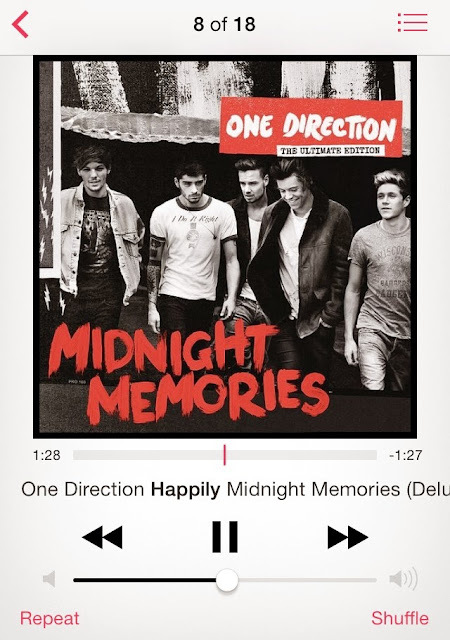 My favourite song off the album has to be Happily! I could listen to it on repeat for hours and I always catch myself having a huge smile on my face when I listen to them; all of their songs are just so incredibly fun, young, energetic and they make you feel good! If you've not listened to Midnight Memories yet, but like One Direction or if you're not quite sure If it'd be up your street, just go for it, have a listen, I think you'll be pleasantly surprised! If like me, you're already in love with the Album, what's your favourite song that they've done? I hope you've had an absolutely wonderful Christmas and an incredible start to the new year(and if not every single day is a second chance). It's the first blog post of 2014!!! 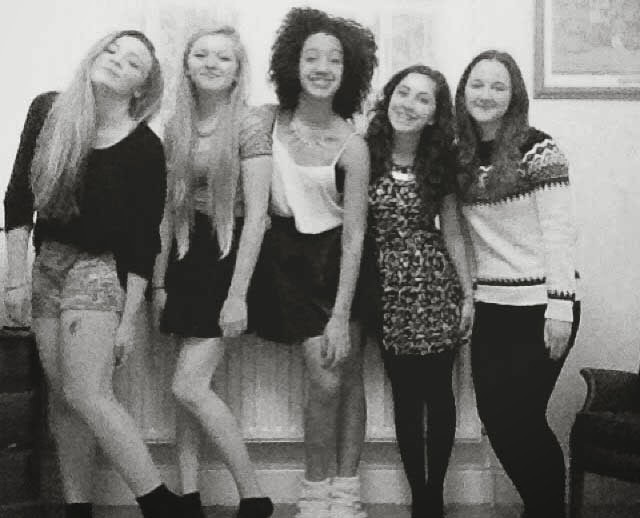 I just thought I would talk you through my New Years eve, it was just really really nice. I usually spend New Years with my family, but I spent it with my friends instead. 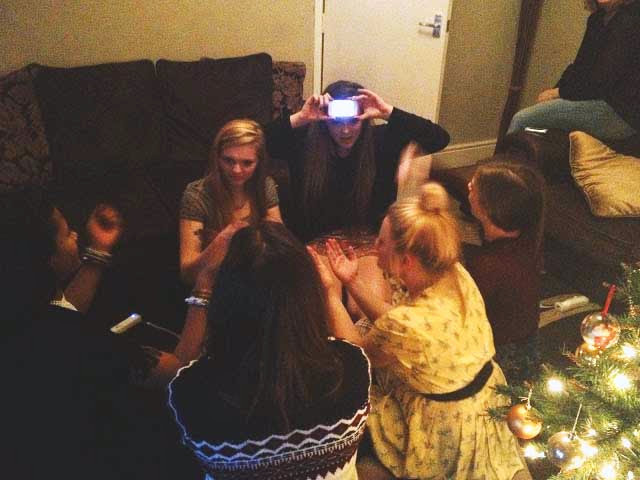 There was about six of us and we just hung out, danced a lot (6 man party h o l a), we played this game called taboo aswell- if you haven't played it, you have not lived! It's genuinely really fun and I'm one if those people that gets pretty competitive so it was great for me haha! I'm such a bubbly, naturally very excitable person, so I absolutely love the Christmas-New year season, it's so exciting, positive and just a really kind, good willed, fun time of year, which are things I absolutely adore anyway! Blog about what I find important- I'm really excited for this one, I've been really sloppy with my content, but keep an eye out, things are going to get seriously cool. Exercise more, aim for 2 or 3 days a week for 1 hour each session- everyone has this as a resolution, but I'm possibly the most unfit person ever- I get a stitch running up the stairs... I don't think this is a lot to aim for, so I kept it pretty realistic. Read my bible and pray every day- this is a bit more personal a lot you won't have this, but I'm a Christian, I love Jesus and I want to have more of God in my life, because I think he's pretty cool. Be more generous at home - I really think it's important that I make more of an effort at home, I've been really lazy this year and I just want to pull my weight more, which links in to the next one. Do one random act of kindness every day, no matter how small- I love this one, I'm a big believer in the power of just being kind, just little acts of kindness can change lives and I think that's beautiful. Try harder to make things work out, take that responsibility- This ones a bit more personal, so I'm not going to go in to it, but just in general taking a lead and being responsible. Use my frees at college wisely- Somehow I don't think I'm going to keep this one, I like doing I what to do too much rather than what I need to do. As I'm writing this there's a history essay that was due in 3 weeks ago which I haven't done, plus I've not revised for my mocks which are in a week- you get the idea. Know what i want to do with my life by the end of the year - ahh scary, this ones a biggy! Yeah basically, I have ideas about what I want to do, but I'm not sure- hey maybe I'll have made a post of where I'm going with my life this year. Hello lovelies, seeing as it's Christmas and for Christmas people tend to get dressed up and makes an effort, i quite rightly did the same and you can't go wrong with a Little Black Dress. This is actually my friends dress, but i love it so much, it's so versatile and it's not restricted to just one type of event if that makes sense? you can wear it to lots of different occasions, which tends to be the standard with black dresses. I also adore the lace detailing and the fact it has sleeves. I teamed it up with a gold necklace just to give it a little extra something(by the way, who else is loving chunky necklaces at the moment!? 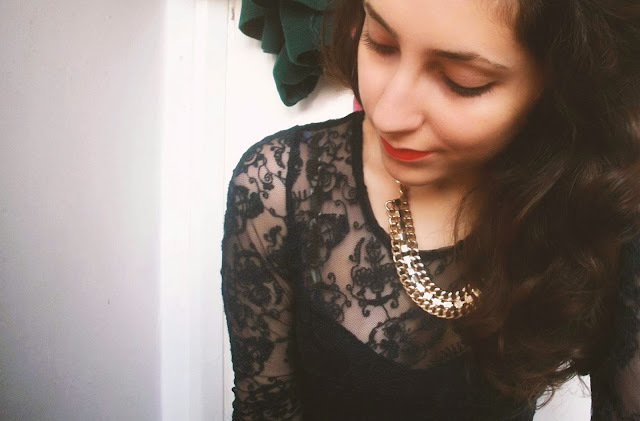 ), and of course the classic winged eyeliner a red lips! I find this to be such a classic look, and if you're not looking for something crazy and bold to wear, but you still want to look good; whip out the LBD, red lips, red nails, winged eyeliner and your favourite heels. Have you been to any Christmas parties this year and what are you planning to do over Christmas? I just started college a couple of weeks ago and it's been weird getting back in to routine, especially as in the Summer i had so much freedom with my time, i really miss that. I'm loving my timetable though, i have the whole of Monday morning off! *takes a moment to appreciate whoever sorted out my timetable*. I do have a lot more freedom and independence than i did at school though, but i do still miss it. A couple of days ago i went back to my old school to pick up some old exam stuff and also it was one of my friends birthdays at sixth form; in all honesty i found the experience very weird and very nostalgic. I'm going to be real with you, it was so odd to see what I'd left behind, and it was just strange, everything was the same yet so different, this was when the nostalgia hit. It did make me think a lot about my choices though. I'm really glad with the choice I've made with which college to go to, change is good. It did get me thinking though, I just kind of wish i planned things more in general; I'm a pretty spontaneous "go with the flow" "wing it" "why not" kind of person, and i like that about myself, it's fun, BUT it's not always practical and in general I'd like to plan and think about stuff more and take things more seriously, instead of seeing what just happens. I got thinking( i tend to do that a bit) even though there is more freedom in college and probably in work; i don't want a standard life. In all honesty, i'm at college because i don't know what else to do and it's the best safety net, i do enjoy it, but i want to live. I don't know if that makes sense... i suppose everyone's got a different idea of what "living" realllly "living" is. For some people it might be a 9-5 job, I'm not slating that at all! I think it's wonderful and if it's what you want to do then go for it. For me, personally though that's not what gets me excited, i want to do something that will change peoples lives and result in fun, happiness, positivity and appreciation of life on my behalf. Maybe that involves travelling and doing practical things, maybe not. I'm not sure. What i do know is, i want to lead a life i love, and one thing i know for sure, i'm going to be taking a few gap years to find out what i want to do. What do you think? What do you want to do with your life? Hey guys! So i was scouting the interwebs for a fun DIY to do and to show you all, that's when i came across this look- it's so easy to do and it looks great too. First thing first, put on the Nail Polish of you choice and wait for it to dry. Then get a strip of newspaper that's big enough to go over your nail, soak it in Vodka, put it on your nail or nails and press firmly. After you've waited for a couple of seconds carefully peel it off. Voila! I told you it was simple! i chose to just put it on my fourth fingers, but you can put it on all of them or any of your choice. 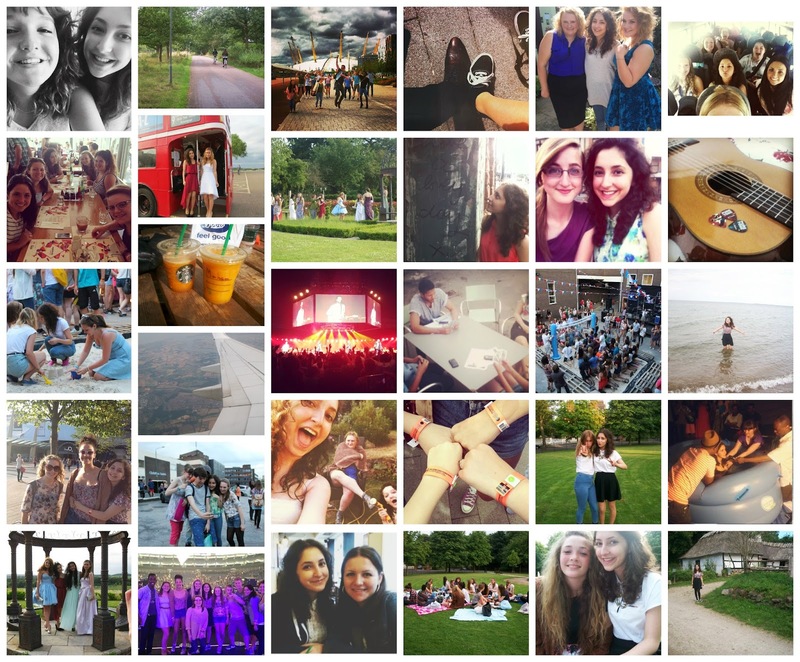 I've been to london with amazing friends and danced on stage at the O2 arena(HELLO), got baptised, just hung out and did life with people, spent time on holiday with my family, went bike riding, got to know some awesome people, used to this blog more(! ), got my results, prom, did volunteer work, went to parties, got paid for the first time, learnt guitar and so much more. Reflecting back now, i'm realising how much of a genuinely amazing summer i've had, i just have no more words to describe how it's been. I've had a blast- THANKYOU SUMMER 2013! I'm also really looking forward (although a little anxious) to Autumn, everythings starting up again and on the 11th i officially start college, i feel so old, but everything moves forward it's the nature of life, nothing stays the same and that's wonderful. If anyone's wondering what a levels i'm taking they're: Photography, Philosophy and Ethics, History and Government and Politics. I just hope i enjoy it! Hey guys, so i got my GCSE results on Thursday and i love finding out what other people got so i thought i'd share mine with you all, how i got them and to offer you all a bit of motivation and advice. I got 1 A*, 4 A's, 4 B's, 1 Merit and 1 Distinction, wowwwwwww! I am so happy and proud of myself, but this time last year i was definitely not on these grades. I use to be so awful at maths i left year 10 on an E grade, but in year 11 i worked hard, was determined, had a great teacher and in November(3 months in) i bagged a C, and in March i got my B and if i didn't drop it i think i could of got an A. So i just want to encourage/motivate you all with this, nothing is impossible, you can achieve the things that seem impossible to you! I'm a living example. Also some more advice i'd give is to speak out if you've got a rubbish teacher, at the end of the day these are your grades, switch classes or get tutoring, anything that will help you. Finnally, RELAX. A lot of people need to just calmdown. 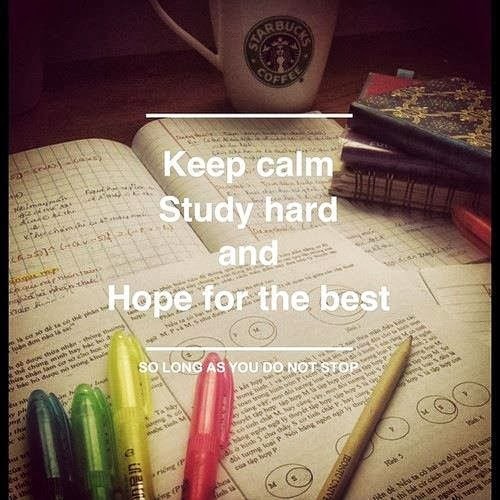 Just have some time to relax, get in the right mindset; yes exams are very important, it may determine a part of your life, but it doesn't determine your whole life ever. Also getting stressed isn't going to help anything at all, just do your best, your best is enough and all anyone can ever ask of you. You will be ok. 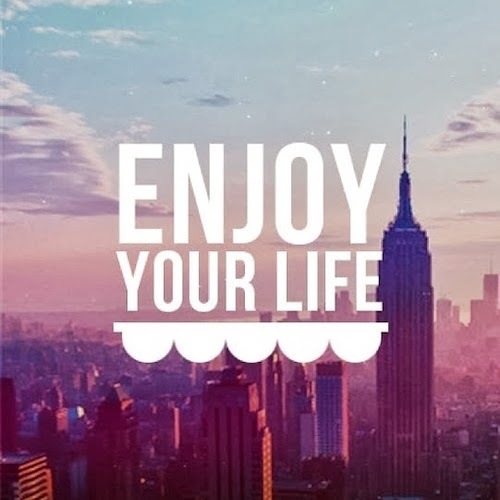 So to summarise, workhard, do your best, relax and just enjoy it! Nothing is impossible for you. I hope this has been been helpful to some of you, comment below what you think, lots of love. I've recently come back off holiday from Denmark, we were staying with some of my family and apart from being homesick i had a lovely time and i thought i'd share it with you. When we arrived we went straight to Lego land, it was so fun, i went on so many rollarcoasters, which isn't very like me, but i had a bit of a "yolo" moment... In all honesty it is beautiful though, i mean everything is made out of Lego!!! It's pretty cool. We also went to a cherry tree farm and picked lots of cherries(and ate alot too), i didn't get any pictures though because i forgot my camera, but that too was SO much fun, i love cherries. In the city we were staying, there was a really old village they'd made sort of museum-y which i found really interesting. I'm really in to history and culture, it was quite surreal seeing how people use to live. And of course, you can't be on holiday and not go to the beach; it was B-E-A-UTIFUL. White sand, clean blue sea. So, that was my holiday, comment below how yours was, i love hearing what you guys have to say. Thanks for reading! L'Oreal Hair Expertise EverRiche Nourishing & Taming Shampoo & Conditioner (very dry rebellious hair) review + my hair routine. This is quite an odd thing to review, but i was reading essiebutton's blog, she did a review about these products and loved it so i went out and got it to see for myself. This is the best highstreet/drugstore shampoo and conditioner I've ever used. It just scores points in everything. It claims to: "leave hair feeling nourished, protected from dryness. Your hair feels satin soft and incredibly silky. Instantly tamed, your hair is easy to style and flows sumptuously with a brilliant shine." Usually i find if something sounds too good to be true, it probably is, but no, this actually did what it said it would do. It left me with really soft, healthy looking, shiny, alive hair. It's sulfate-free aswell which is a bonus, it has botanical oils too and anything that sounds natural just instantly grabs my attention. It smells great too, it's sort of like a vanilla smell, but not a sickly one, a really natural vanilla, not too overpowering at all and the smell lasts aswell. They also do one for "dry and fine hair." I really recommend these products if your hair fits in to either category, it's amazing. Whilst we're on the subject of hair, i thought it would be fun and even helpful to some of you to find out my hair routine. I have curly hair, because of the structure it's very dry and very frizzy, so i only wash it once or twice a week, which sounds disgusting, but it just doesn't really get greasy or dirty, it's just so dry. Before i wash my hair i brush it out, this makes it so much easier to wash and reduces tangles when you're finished. When I've finished washing my hair i rinse it with cold water, it just makes it a lot shinier. Then I just sort of grab my hair with a towel so it's not dripping wet, but still really wet and then i apply the John Frieda Frizz-ease Extra Strength HairSerum, after this i just sort my parting then leave my hair alone to air dry, (if you're in a rush use a diffuser) I don't brush or comb it when it's wet as i'm sure most of you know why, but when your hair is wet basically it's at its weakest which means it breaks a lot easier. When my hair's damp/mostly dry i finger comb it (or you can use a wide tooth comb), because it's easier for me to remove tangles, i don't know if it's the best thing to do, but it's what i do. I don't use any heat on it, occasionally i might straighten bits to flatten it down or make it look longer, but that's quite rare. I don't recommend using a brush at all if you have curly hair, it's going to make it go frizz-crazy. That's basically it really, once a month i also deep condition by using a hair mask, it's a home made one and consists of coconut oil, avocado, honey and some other ingrediants, i'm planning on doing a post about this at a later date. This is all just stuff I've picked up, i hope you found this interesting or helpful, leave me a comment below if you have any questions or tips for me or even if you just enjoyed reading this. All images used belong to me, unless otherwise stated. If you wish to use the images, contact me. Simple theme. Powered by Blogger.